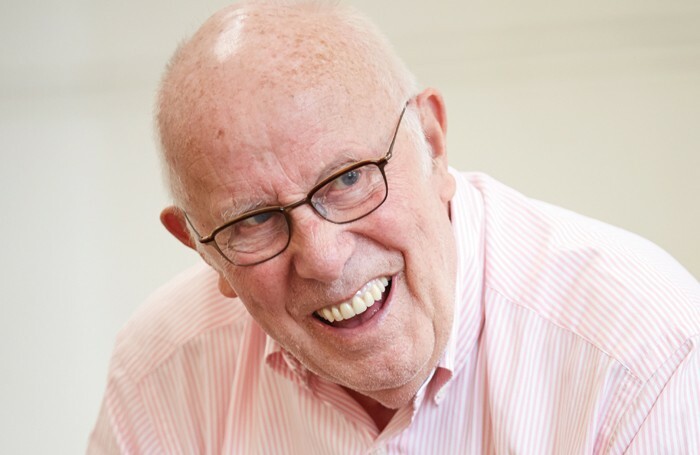 Richard Wilson was in his mid-50s when he first played Victor Meldrew, the mischief-making misanthrope of TV’s One Foot in the Grave, 25 years ago. At the time he felt he was too young to play a grumpy old man. Now, on the cusp of 80, Wilson has decided to play Victor once more for a limited run at this year’s Edinburgh Fringe. “Of course, I now feel I’m far too old to play Victor, who is meant to be 60-ish,” says the convivial Wilson, who doesn’t appear to have aged much in the intervening period. So how did this unexpected resurrection of Victor Meldrew – killed off by writer David Renwick in a hit-and-run car accident – come about? For many years now, Wilson’s time has been evenly divided between acting and directing, but in recent years directing has won out. This year he is directing two new plays – Richard Bean’s The Nap, about snooker match-fixing, currently running at the Crucible, and Alistair Beaton’s Fracked! at Chichester in July. As a director, his preference has always been for new work by younger writers. He worked on two of Richard Bean’s early plays – Toast and Under the Whaleback – at the Royal Court in the late 1990s. He says: “One of the exciting things about new writing is that you get to change things before you even go into rehearsal. I seldom get a draft of a new play and say, ‘Yes, I’ll do that’ straight away. I tend to favour naturalistic plays about relationships. My priority is always to make theatre accessible. Growing up in a council house in Greenock, 25 miles outside Glasgow, where his father was a timekeeper at the local shipyard, Wilson says he was a gawky, diffident boy who kept quiet about his acting aspirations for fear of being labelled “a big Jessie”. When he did finally pluck up the courage to confide his desire to act professionally to his drama teacher, her response was not encouraging. “Don’t be stupid,” she snapped, “you can’t even speak!” It was a crushing putdown that almost undermined his confidence for good. After military service in Singapore, he decided to chance his arm in London, joining an amateur group attached to the City Literary Institute, or the City Lit, as it is commonly known. He put on home-grown revues with a friend named Roger Booth, and their reputation grew to the point where they could attract professional actors to their productions. Eventually Booth gave up his day job to appear in a professional revue at the Hampstead Theatre Club. Wilson thought: “If he can do it, so can I.” So at the age of 27 he auditioned for RADA, one of the few drama colleges that took people over 25. What was your first non-theatre job? A medical laboratory technician. What was your first professional theatre job? Rep at the Swan Theatre, Worcester. What do you wish someone had told you when you were starting out? I’ve become a bit of a minimalist, so I wish someone had told me not to do so much acting. Who or what was your biggest influence? Peter Barkworth at RADA and Max Stafford-Clark at the Royal Court. What’s your best advice for auditions? Less is more. If you hadn’t been an actor or director, what would you have been? A barrister, I think. I loved doing Crown Court. Do you have any theatrical superstitions? I have to have a snooze between the matinee and the evening performance. When I was doing a show at the Ambassadors, the dressing room was so small I used to go to the Groucho Club for a lie down. 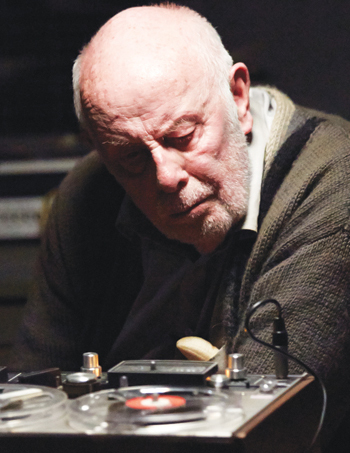 Thinking of his minimalist approach to playing Victor Meldrew – acting from the neck up, as it were – it comes as a surprise to hear Richard describe his student self as “all over the place, throwing my arms around, physically quite uncoordinated”. After TV character roles in Dr Finlay’s Casebook and Crown Court, Richard’s first taste of the limelight was the hospital sitcom Only When I Laugh in the 1980s, with Peter Bowles and James Bolam, in which he played a snooty consultant surgeon. He compounded that success with the wheeler-dealer rock band manager Eddie Clockerty in John Byrne’s wonderfully quirky comedy-drama Tutti Frutti a few years later. But it wasn’t until One Foot in the Grave came along in 1990 that he and Victor Meldrew hit the big time. Overnight the soubriquet “Victor” was adopted by middle-aged women up and down the country to describe their ageing, curmudgeonly husbands. 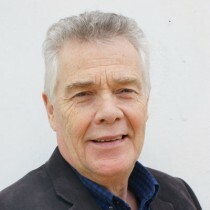 Whether it is his Scottish Presbyterian upbringing or a genuine missionary zeal, Wilson feels that it is just as important to put on a play for 100 people in a backstreet studio theatre in London, where he has lived for most of his adult life, as it is to appear in a sitcom that is watched by 18 million. By all accounts, including his own, Wilson has evolved a quite distinctive style of directing. “When I started out as an actor, the director would usually do a reading, then start to block it immediately after the read-through, so the actors never really knew what they were playing. Quite early on, I would sit down with my actors and discuss the text and the relationships for quite a long time, maybe a couple of weeks. Clearly retirement is not an option, though he seems astonished to find himself as busy as ever at 80. In moving from Sheffield to Chichester as artistic director, Daniel Evans has insisted on taking Wilson with him as associate director. Careers Clinic: How do we engage troubled youths?